In January this year, Microsoft Philanthropies announced a $1 billion donation to cloud computing resources over the next 3 years for 70,000 not-for-profits (NFPs) and non-governmental organisations (NGOs) worldwide. The move came in a bid to help organisations use the public cloud for the public good. As it turns out, cloud computing plays a vital role in analysis and action required to tackle some of the worlds most pressing issues, such as poverty, hunger, health and education. With cloud computing already available to those than can afford it, Microsoft’s move is to harness the advantages it presents for those organisations that cannot easily affort the technology and work for the public good. In September, Microsoft took another step closer to achieving this goal. Microsoft Philanthropies made Microsoft Azure broadly available to eligible NFPs. These services help accelerate innovation within organisations, assist in providing insights that power decision-making, and provide industry-leading security. This empowers NFPs to achieve their missions with greater insights, capabilities and efficiency. One example of an NFP already using Microsoft Azure is Partners In Health (PIH), who use cloud solutions to improve delivery of health serivces around the world. Not only did they save $250,000 in IT costs, which could be redirected elsewhere, but they have been more effective in responding to crisis. When the Ebola outbreak began in West Africa, reliable communication was the difference between life and death. Through the use of Office 365, PIH were able to collaborate and coordinate their team to address the crisis. 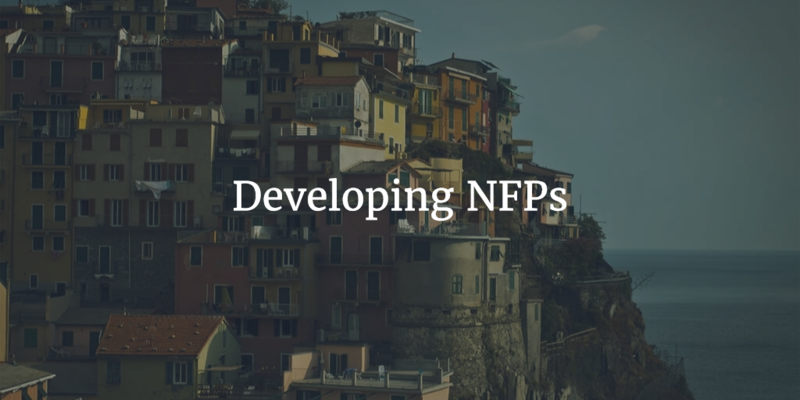 Here at Illuminance, we work to support NFPs in achieving their goals. Our experience with NFPs includes Anglican Diocese, the Western Australian Fishing Industry Council, Youth Focus, Diabetes WA and the Cancer Council of WA (CCWA), amongst others. One example of the work we do with NFPs is CCWA. Prior to engagement with CCWA, they were using an outdated CRM system that no longer supported their fundraising business process and experienced difficulties with reports. The result of these challenges was low productivity and high levels of frustration. To resolve the issue, Illuminance conducted various workshops to ensure all stakeholders views and needs were addressed, and documented their desired business processes. We then translated these business processes into a reality. We restructured their CRM to be consistent with their business processes, and rectified issues with data import to improve report quality. Our engagement brought back harmony between the teams and drove improved return. If you are considering engaging with a IT Consultant, contact us for a chat about the difficulties you are facing and to explore possible options to solve these issues. To see if you are eligible for the Microsoft NFP program, please visit their website. To read more of the Illuminance success stories, please visit our website.